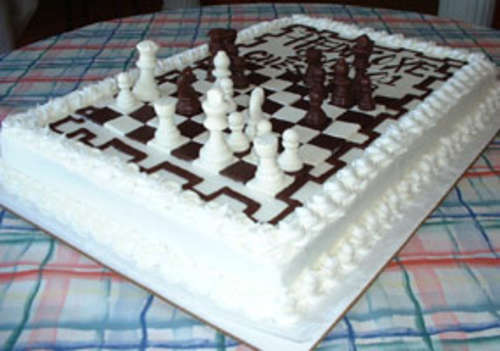 03.11.07 March 11, 2007 marks the one year anniversary of ChessMaine.net. In our first year, we've posted 891 entries and have been visited over 27,000 times from readers as far afield as Bulgaria, Greece, Iceland and Israel. Many thanks to the Maine Chess Community for its support and votes of confidence. We look forward to another great year of illustrated tournament reports, interviews, news, games, events, players, features and more. Improve your position--click on ChessMaine.net! One year already? Great job! Maine chess is growing thanks to chessmaine.net! Happy Birthday ! - and Thanks ! This is the site for chess in Maine. It serves the same purpose as www.mainechess.org, only is much better and is updated constantly. Since the maine chess association site is updated hardly ever, the best thing they did was to include a link to this site. Keep it up! This is an excellent web site. I don't know how I would be able to find out what is going on with chess in Maine without this site. Thank you for all your efforts.